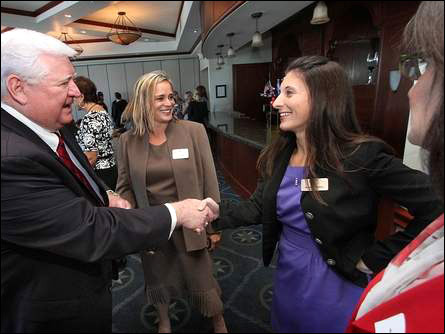 of Woman Lawyers at the Halifax River Yacht Club. DAYTONA BEACH — A sitting Florida Supreme Court justice told a small group here on Friday that he faces a challenge like no other come November — the possible loss of his seat on the high court. Justice Fred Lewis spoke to a roomful of his colleagues at the Halifax River Yacht Club about the challenge he and two other Supreme Court justices — Barbara Pariente and Peggy Quince — face on Nov. 6 when they're up for merit retention.